A Day Ashore in Yachting's Newest Hot Spot - Tunisia! One of the perks of working on a Superyacht is exploring global destinations that may be a bit off the beaten track. Today, we’re featuring Tunisia -- an exciting, beautiful destination that is now open to more traffic since the recent lifting of a travel ban by the British Foreign & Commonwealth Office. If you’ve never traveled in northern African, this French and English-speaking country is a fantastic place to start. Located only 90 minutes by sea from Sardinia, it’s very accessible and offers a wealth of entertainment for yachting guests and crew alike. When you land in Tunisia, you’ll likely be coming into one of the three main ports: Explore one of Tunisia’s main ports: Bizerte, the oldest city in Tunisia, can host yachts up to 150m in its marina, while Port Yasmine near Hammamet can accommodate up to 110m. For smaller yachts (up to 35m), you may moor in the picturesque Sidi Bou Said. No matter which destination, you’ll enjoy Tunisia’s rich cultural heritage. The country was settled by the Moors and later the Romans, and today offers beautiful beaches, fantastic shopping for both new and traditional products, and a cuisine to die for. Bizerte is known for its beaches, and Lac de Bizerte offers a paradise for water sports lovers. Explore one of Bizerte’s many beaches, or take a stroll in the beautiful village on a hill, Sidi Bou Said. Overlooking a small marina, you’ll see mountain ranges across the bay. Sidi Bou Said is a perfect place to linger for an afternoon, to have a tea or pastry, or explore some of Tunisia’s incredible seafood. Tunisia’s cuisine is almost entirely homegrown, from spices and herbs grown in their rich soil, to fish and seafood from the abundant Mediterranean. 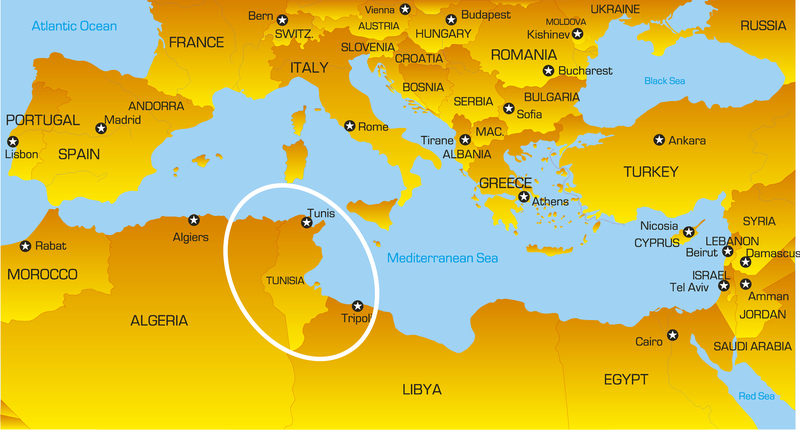 In fact, Tunisia is named after the Tuna run -- and the country boasts some of the Mediterranean’s finest tuna! Don’t miss the unique and rich spices, beef and lamb dishes, and excellent olive oil. 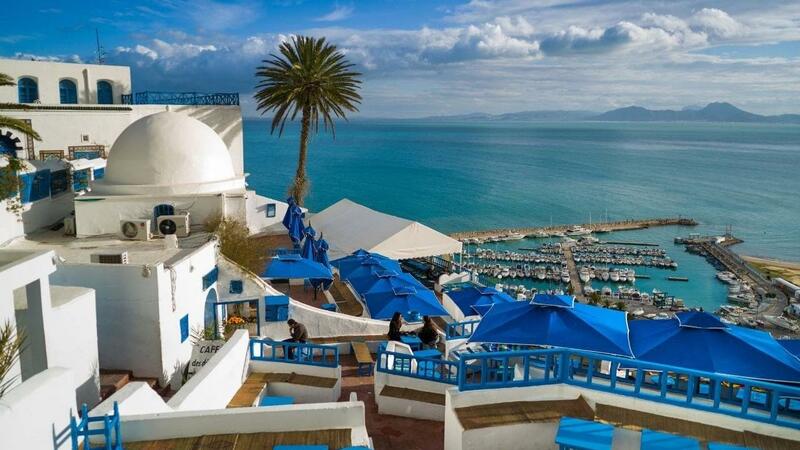 One popular destination for a tea break is the Café Sidi Chebaane in Sidi Bou Said, or Chez Zina for meal. In Hammamet, Sidi Bouhdid and Fatma are reasonably priced and offer traditional Tunisian cuisine as well as other choices. Another not-to-be-missed experience is taking in a local meal while on a ride in the desert! 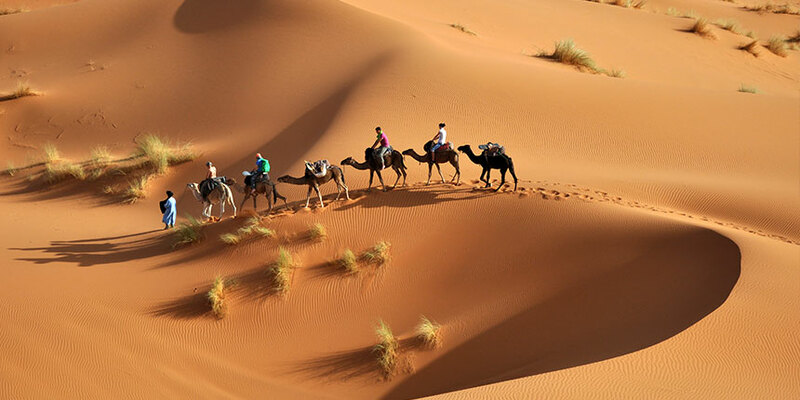 Tunisia offers two exciting ways to explore the desert without trekking on foot -- whether by 4x4 motor cross, or camel ride, you can get out of the city and see more of this beautiful country. Make sure you explore the option to add on a traditional meal cooked in a stone hearth oven! This is an experience you'll never forget. Tunisia is home to many movie sets, offering an otherworldly experience that has been channeled in films from Star Wars: A New Hope to The X-Files. Monty Python also filmed some scenes in Monastir, a beautiful destination featuring a Ribat (castle) that used to be a monastery. You can visit many of these destinations and picture yourself on film, or take some snapshots to share of your visit to the place that inspired Tatooine! 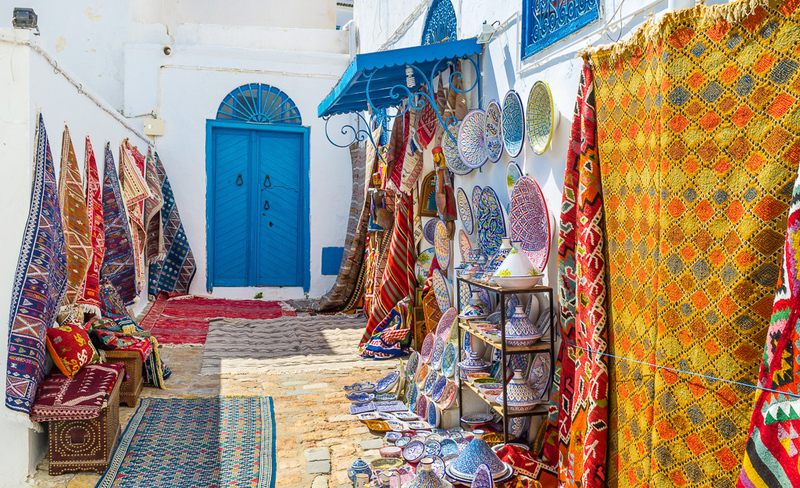 With a history of over 3000 years of different travelers, explorers, conquerors, and rulers, Tunisia’s colorful history is mirrored in its diverse architecture, culture, and art. 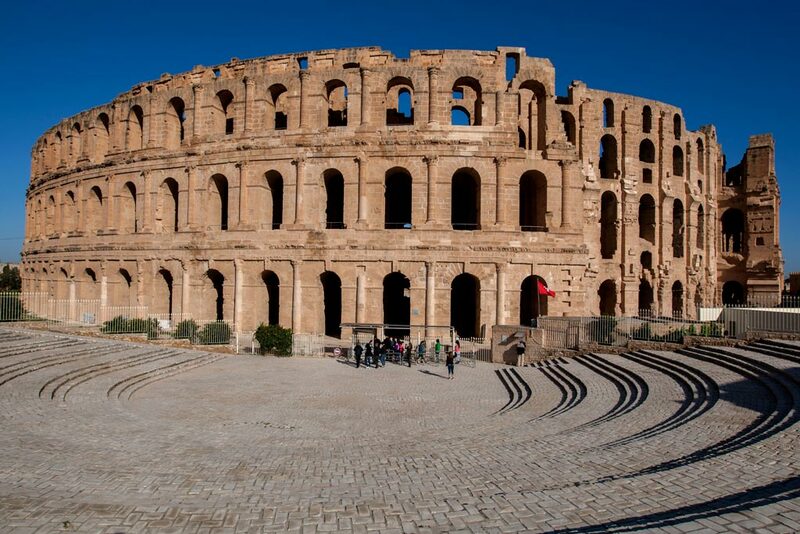 Whether you travel to El Djem -- the huge amphitheater and UNESCO World Heritage Site that still hosts performances -- or visit the Bardo Museum at the Husseinite palace to see the largest collection of mosaics in the world, Tunisia will quench your thirst for beautiful history. Will your job take you to Tunisia? If not, why not explore a Superyacht Career with FreshYacht there to guide you? 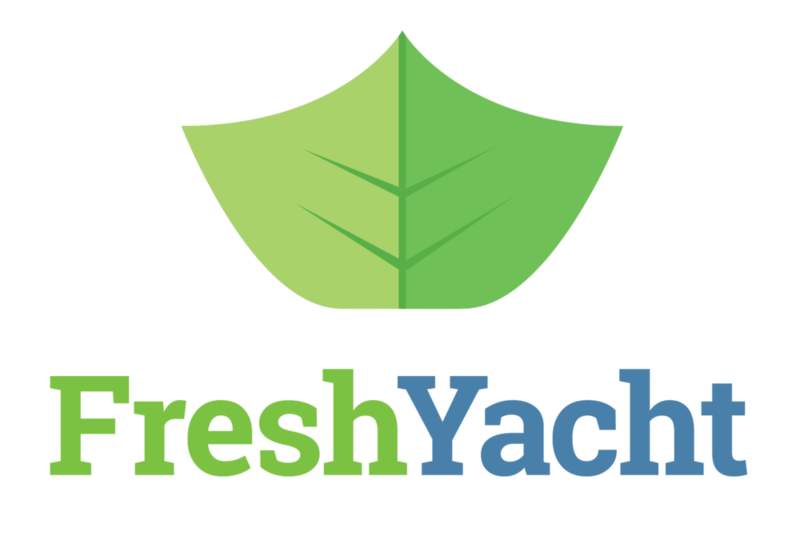 Join FreshYacht Insiders and be notified when our course, Superyacht Jobs, opens up for registration.